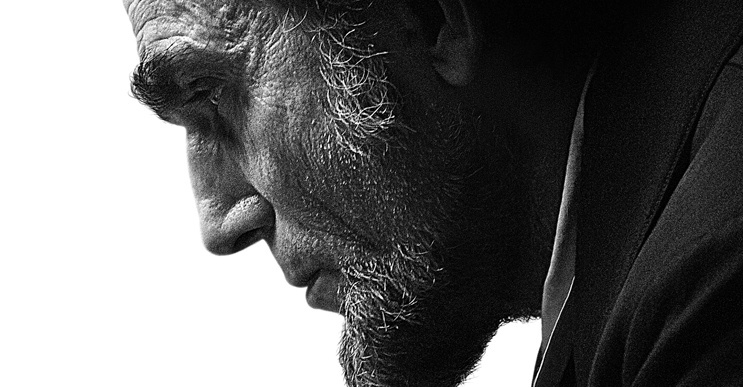 Synopsis: Spielberg's latest film finds him tackling the single most important, but extremely turbulent period in President Abraham Lincoln's political career - the few months leading up to the vote to abolish slavery in the US, which may lead to the end of the brutal civil war that has divided North from South. You can call me Dan... Nooooooo! You WILL call me MR PRESIDENT! Now! If a filmmaker is going to tackle weighty subjects such as revered historical figures like President Abraham Lincoln, then your cause is given a huge boost if you can attract the requisite industry accomplices who can do more than justice, they can transform even the slightest material into a piece with significant gravitas, making the film seem substantially more authoritative than perhaps it should. Spielberg has had the life of Lincoln on his radar for a very long while, but was hesitant to commit filming when the daunting scope of his extraordinary life presented a massive challenge that didn't seem to suggest any easy options. Finally, a break came with the publication of Doris Kearns Goodwin's biography Team of Rivals: The Political Genius of Abraham Lincoln. Despite the book covering a significant segment of his political career, main collaborator, Pulitzer Prize-winning playwright Tony Kushner was instrumental in suggesting that the film be centered on the momentous last four months of Lincolns life -the period in which he both ended the bloody drawn-out civil war that created such a massive rift between fellow Americans - and finally ended the oppressive shackles of slavery that disenfranchised the African-Americans subjected to its unrelenting inhumanities. But he paid for ultimate price for his ground-breaking decision - his life taken by John Wilkes Booth, incensed that Blacks were now going to be able to vote! A step way too far for this intensely fanatical confederate man. With the storyline now centered on this intense period of his life, Spielberg knew that the films success would be down to the single most important casting decision - who to play Lincoln? If you look at all the available options, then you too, would have came to the same seemingly obvious choice. Daniel Day-Lewis. But before he signed on, Liam Neeson was the actually the first choice for this historical opportunity - already proven himself prior with his fantastic portrayal of Oscar Schindler in Spielberg's academy award winning 'Schindler's List'. Fate though, dealt Neeson a blow with the sad loss of his beloved wife (Actress Natasha Richardson) and that feeling that at 56 he was both 'past his sell date' and 'too old to play Lincoln accurately'. Neeson's loss though is undoubtedly, Day-Lewis' gain. Reputedly staying in character 24/7, insisting that all on the production address him as "Mr President", Day-Lewis again demonstrates with utter ease just why he is so rightly regarded as one of the very best actors ever. We'll never know just what the real Abraham Lincoln sounded like, how he appeared to all around him, but through this depiction, we get a real sense of the humanity of this remarkable person who is still regarded as one of the top 3 presidents of the United States, if not the top two - some academics preferring George Washington. Day-Lewis has been nominated for an Oscar for his stunning turn as Lincoln, and it shouldn't be a surprise if the nod does go in his direction, for the performance is one of complete and absolute distinction, possibly one of Day-Lewis' best ever. I'd certainly put it in his top three - with no qualms whatsoever. His mannerisms, his voice, his demeanor, all add up to arguably the finest portrait of this iconic public figure. Although Tommy Lee Jones & Sally Field are both nominated for Oscars, as good as their respective performances are, when your look at who they're up against, they shouldn't win. But Oscar voters tend to 'go with the herd' at times, so don't be too surprised if they both walk away winners. The rest of the star-studded cast acquit themselves with merit, it's too hard to distinguish any other individual actor from this heavyweight ensemble! Spielberg being Spielberg, the movie looks and sounds historically accurate, you certainly feel that you're watching events unfold in a realistic manner. The set design and production are highly evocative of the period, all rendered with fastidious attention to detail. Longtime musical associate, composer John Williams score is another fine complimentary effort that adds emotional resonance for many of the main dramatic acts in this film, never overstaying its welcome for any scene. The only caveat with this movie is if historical drama's (On American history specifically) aren't your thing, then with Lincoln's suitably epic length (150 minutes), you may get restless in your seat. For the rest of you? Enjoy!